Tsum Valley Trekking - EncountersNepal. 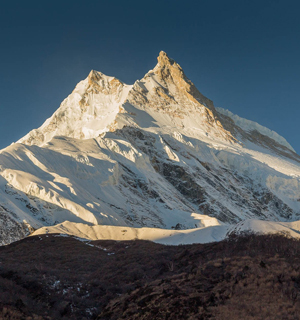 Tsum valley permit :Tsum valley Per week per person 35 USD ,Manslu USD 70 Per Week per person ,Manaslu Conservation USD 30 Per person ,TIMS USD 10 Per person,Annapurna conservation USD 30Per person . 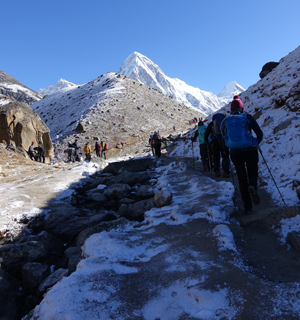 Tsum Valley Trekking path takes us across Tsum Valley, an unrevealed territory sited in the northern Gorkha of Nepal. 'Tsum' is taken from a Tibetan word 'Tsombo', which means vivid. 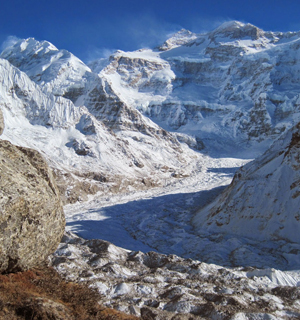 Tsum valley trekking is a latest and fresh trekking route in Nepal which was previously barred for trekkers. However, Nepalese government opened this region three years back for tourists realizing the possibilities for tourism in this area. 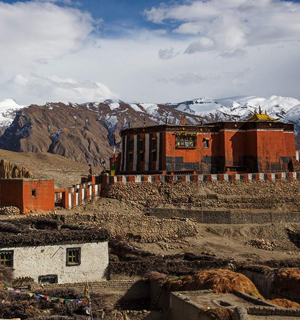 Tsum valley trekking region is abundant in cultural inheritance and we can observe a lot of Chortens, Mani walls and Gumbas throughout this trek. This trek starts from Aarughat in Gorkha district, which can be easily accessible from Kathmandu. And we, Encounters Nepal arrange the appropriate itinerary as per your wish. Yeti or ‘Abominable Snowman’ which are considered rare in the world is seemingly seen in this remote land. 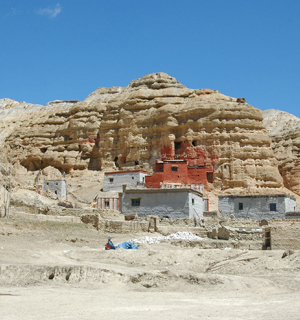 It is believed that the great Buddhist Guru Milarepa had once meditated in the mountain grotto of this valley and therefore considered a sacred and attractive spot for the visitors. We also get to stopover the prominent natural hot-spring in Tatopani during the trek which is referred as a cure for different allergies related to our skin. Tsum Valley trekking is one of the blessed hidden valleys for Buddhism, and as such, this trekking holds significant old monasteries in the midst of remote areas. From centuries, local people are depended on agriculture, trading with Tibet and grazing herds of yak for their continued existence. The trail curve passes the piles of stones hand-carved with Buddhist prayer and divinity and cubic-chortens. Tsum Valley is utterly preserved environmentally, traditionally and has spectacular beauty all around and big mountain views. The concealed valley of Tsum is enclosed by the, Ganesh Himal to the south, Boudha Himal and Himchuli to the west & Sringi Himal to North. selling cloth, food and hardware. terraced fields along the way. the same name. We set up camp at a good campsite. Buri Gandaki River. The river meanders serenely among gravel bars. farmers and grow potatoes, gucchi mushrooms and soya beans. several good campsites. There is a telephone service and health post too. Chiya (butter tea) and local meal. is on the western, sun-side of the Shiar Khola, about 20 minutes walk across from Chhule. scripts make this cave one of the most important socio-cultural asset in the valley. sect. There are a few campsites and drinking water facilities. slaughter.Dhumje is a small village with about eight houses and adjoining cattle shed. soaking yourself in the hot spring. From Tatopani we trek to Lapubeshi, a Gurung Village. We pass through terraced fields and tropical waterfalls. We camp at the village. • Hotels in Kathmandu with Bed & Breakfast as per itinerary.